SpiceJet's second purchase order for up to 50 Q400 turboprops placed in September 2017. The 90-seater variant is part of SpiceJet's second purchase order for up to 50 Q400 turboprops was placed in September 2017. This was the largest ever single order for the Q400 turboprop aircraft program valued at up to $1.7 billion. The airline has already inducted five planes as part of this order. SpiceJet also operates a 78-seater variant of the same aircraft. Besides the Q400 fleet, SpiceJet has a fleet of 48 Boeing 737s and one B737 freighter, the press release added. Also Read: Jet Cancels Overseas Flights Till Thursday As Funding "Not Forthcoming"
"As part of our efforts to augment capacity and minimize passenger inconvenience, SpiceJet will induct five more Q400s in addition to the 16 B737s we announced last week. 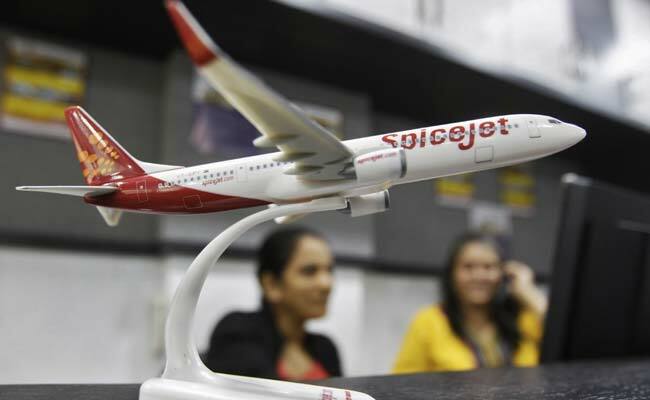 The sudden reduction of aviation capacity should in no way hamper air connectivity to the smaller towns and cities of India and as the country's largest regional operator, SpiceJet will make all possible efforts in this direction," said Ajay Singh, chairman and managing director of SpiceJet. The Indian aviation industry is facing turbulent times as Jet Airways has cancelled international operations till Thursday after it failed to pay pilots, lessors and employees. The company is saddled with a debt of $1.2 billion and has failed to secure interim funding from its lenders as part of the rescue deal signed last month. As of 12:04 pm, Jet Airways shares traded 5.74 per cent higher at Rs 126.20, outperforming the Sensex which was up 0.86 per cent.